Ready to try QuickBooks Online free accounting software? Save time on paperwork and bookkeeping to focus on growing your business. QuickBooks Online lets you view balance sheets, cash flow statements and over 65 other reports anytime, anywhere. You can also track payments and inventory, and be ready at tax time by organising your data. Why do small businesses choose QuickBooks Online free accounting software? QuickBooks automates time-consuming accounting tasks so that you have more time to grow your business. Create estimates, invoices, bills and more. In just one click you can create balance sheets, cash flow statements and over 60 other reports. Try the free accounting software that small businesses choose to manage their finances. Organise your financial data in one place and always know where your business stands. 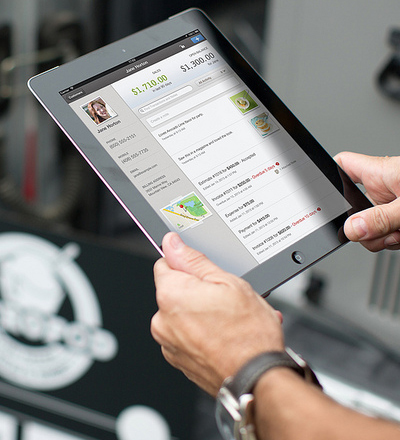 Review sales, payments and expenses in an instant. Download and import all of your transactions to QuickBooks in minutes to stay organised, save time and eliminate potential data-entry errors. Try QuickBooks risk-free - accounting software made easy.